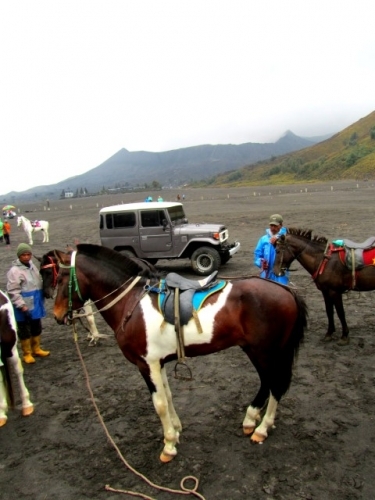 The Bromo area is now fully open again after a period of volatility. 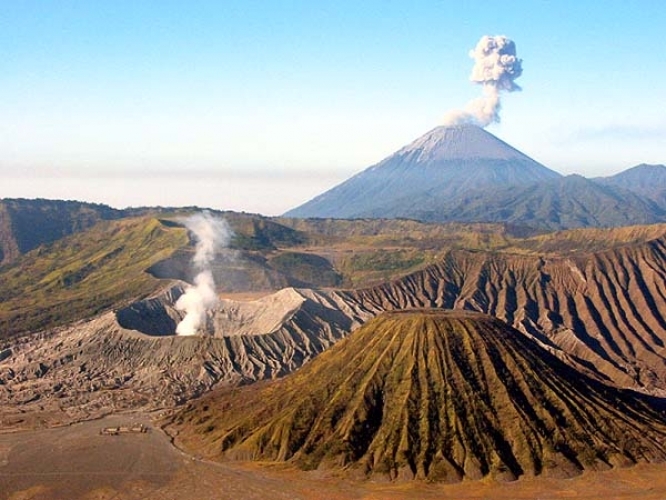 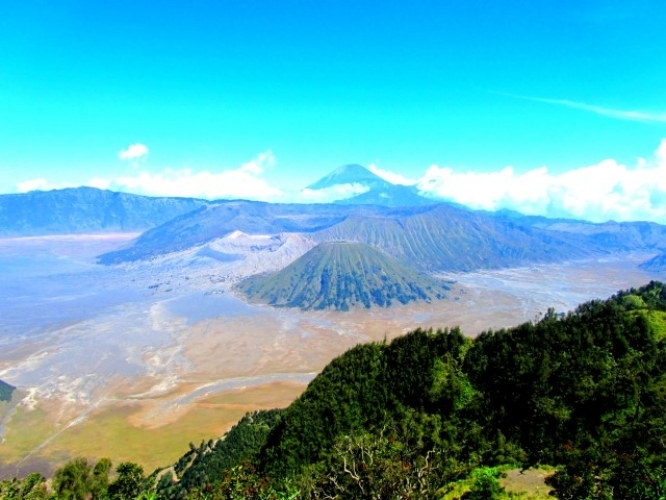 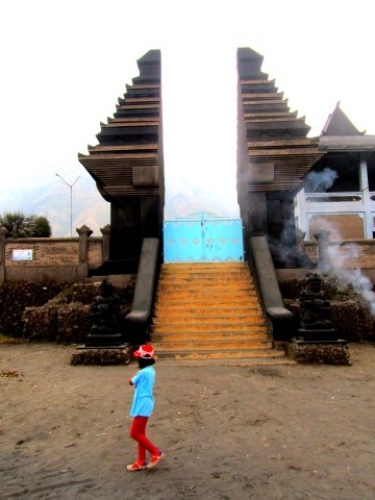 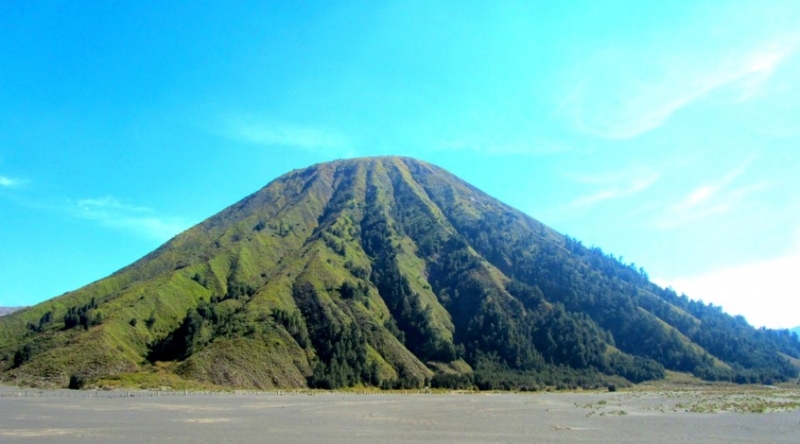 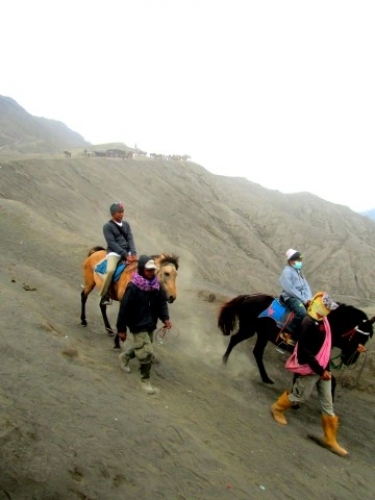 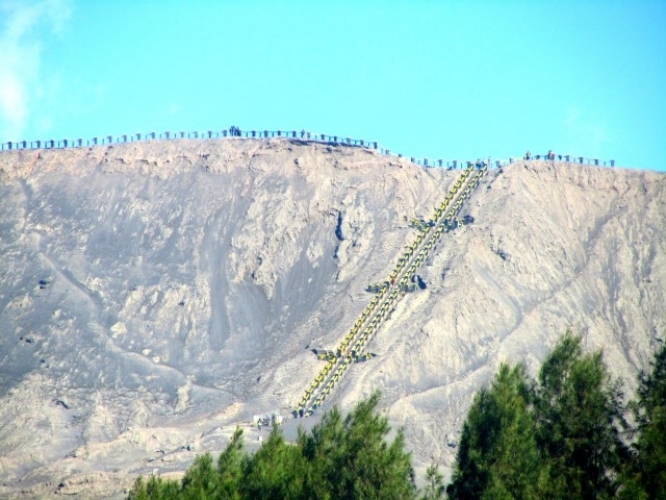 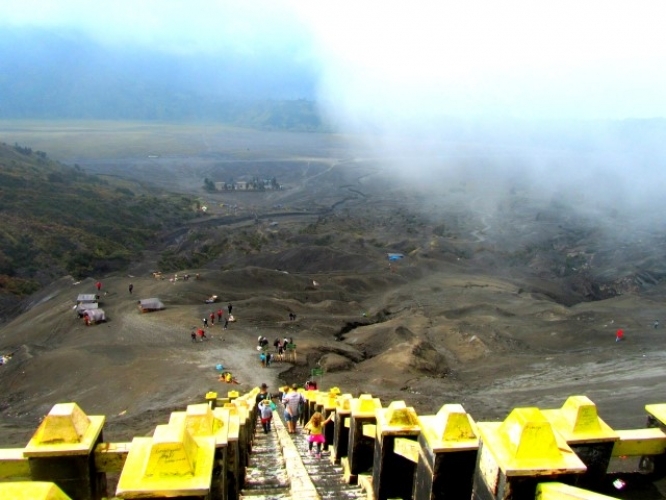 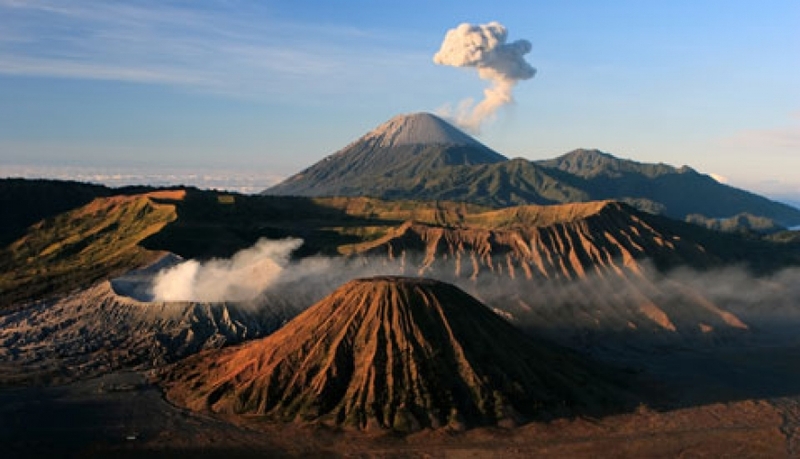 This one day tour visits Mount Bromo, an active volcano with a height of 2,300m. 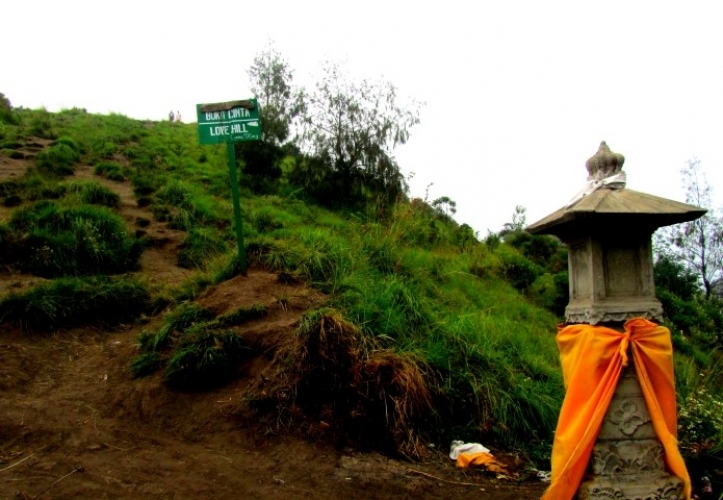 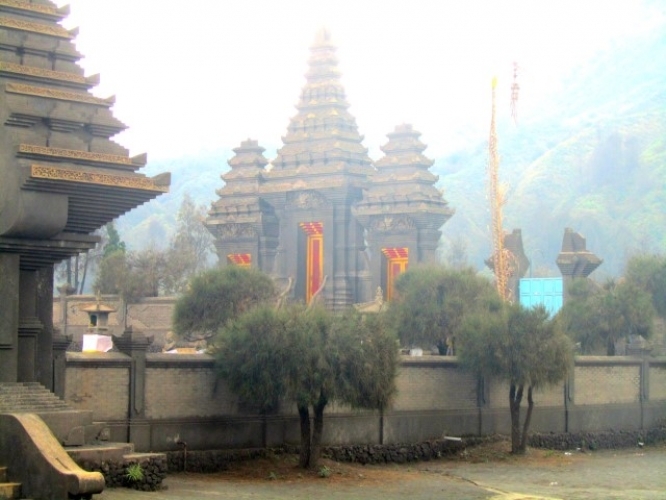 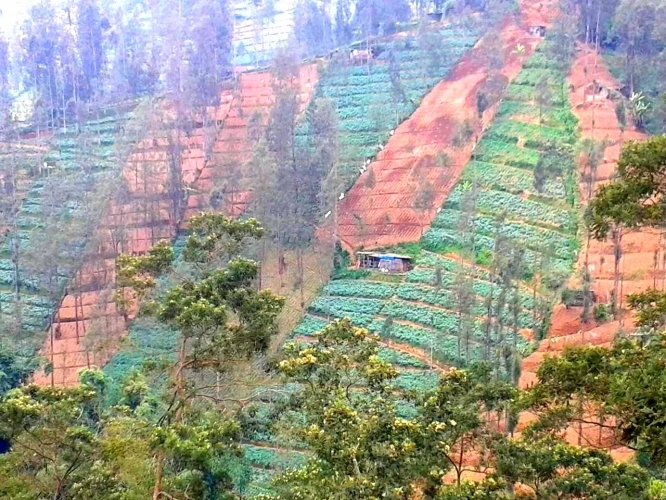 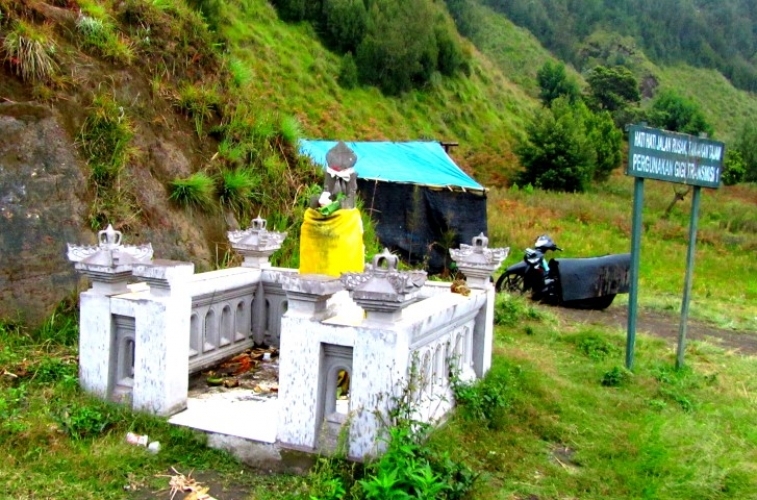 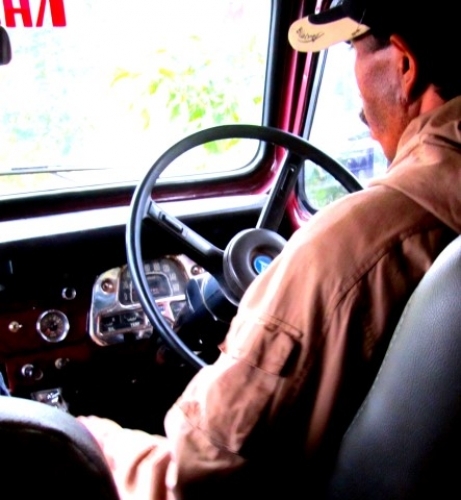 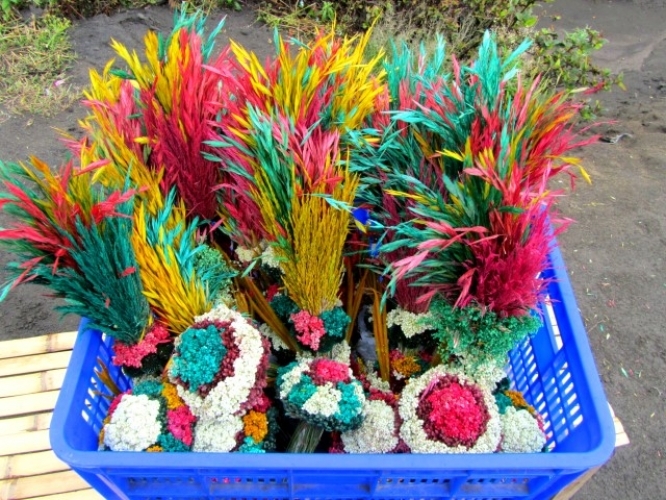 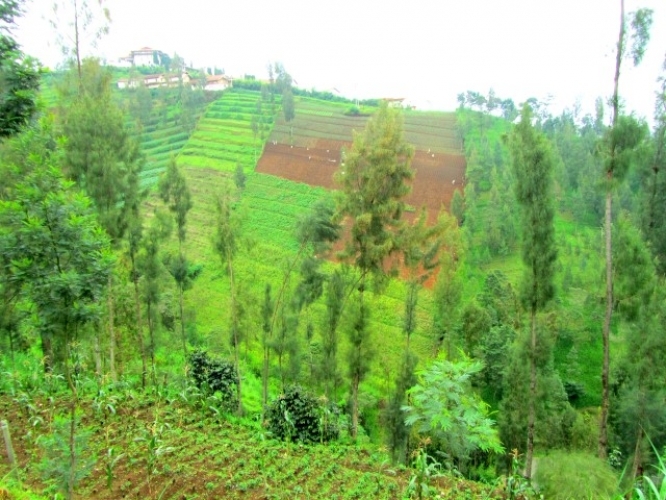 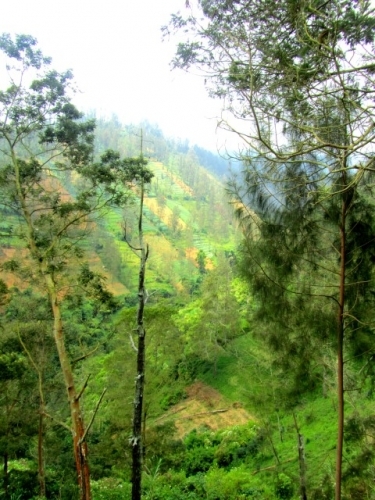 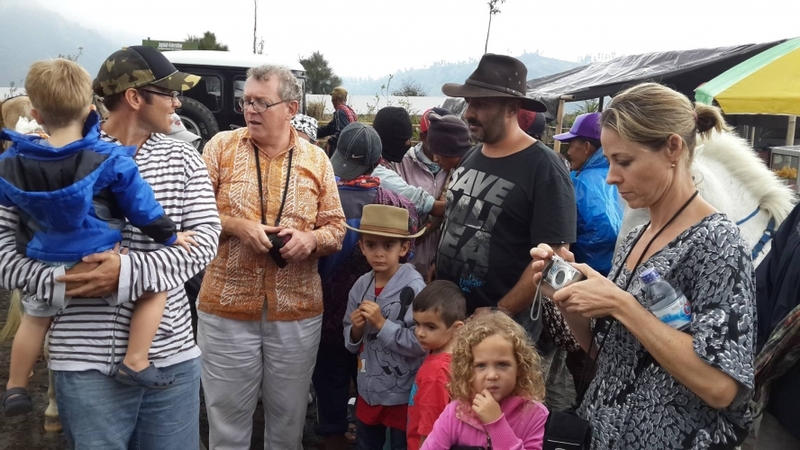 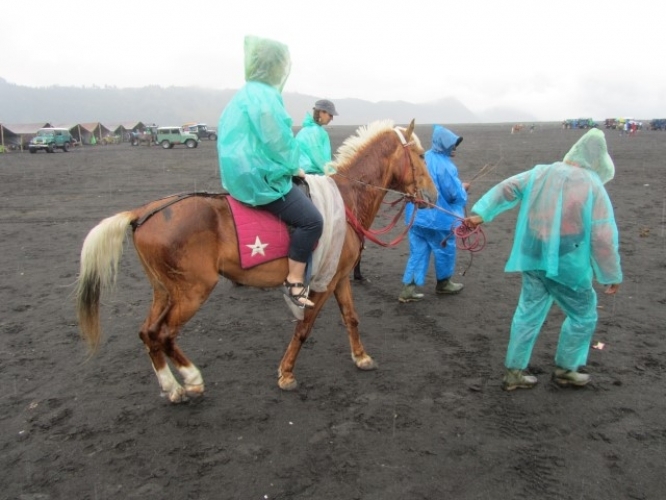 The route taken includes a scenic road of high altitude through terraced farming and picturesque Tenggerese Hindu villages, to the outer caldera of the volcano. 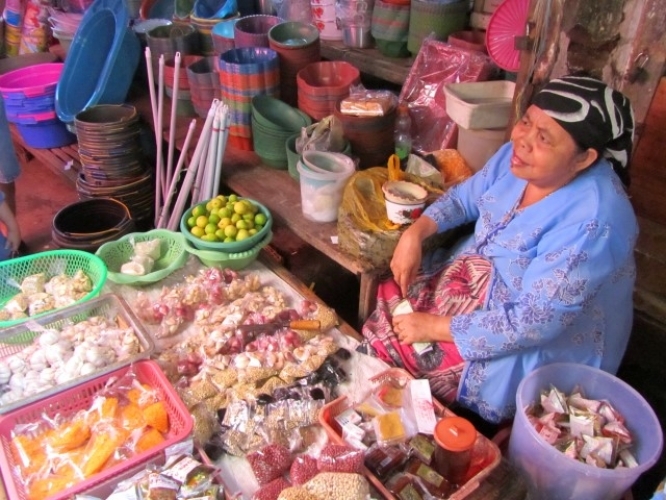 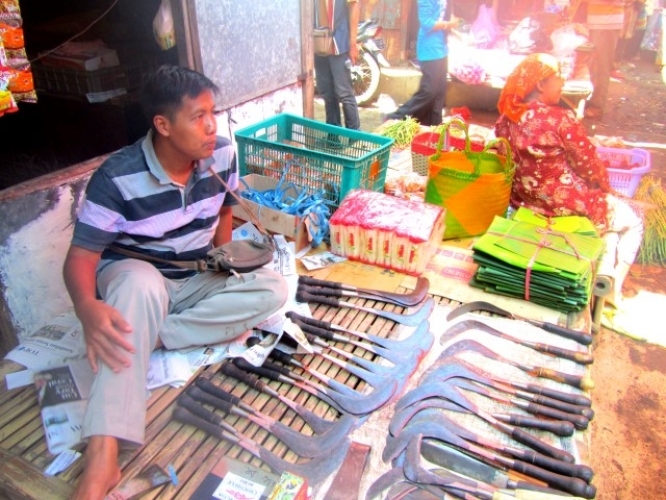 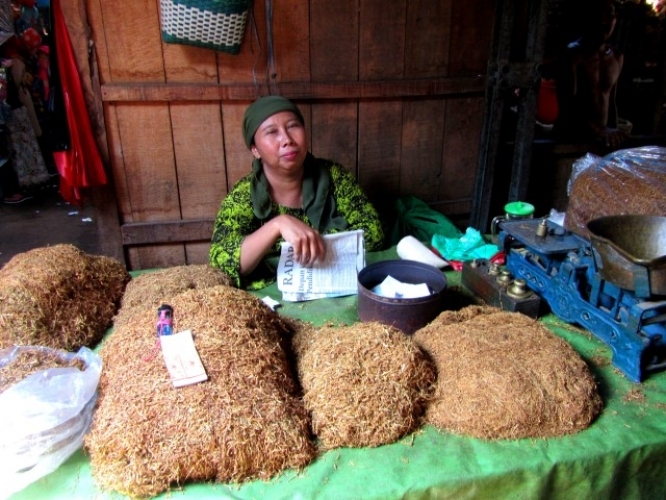 We stop off at a splendid traditional market and a local village. 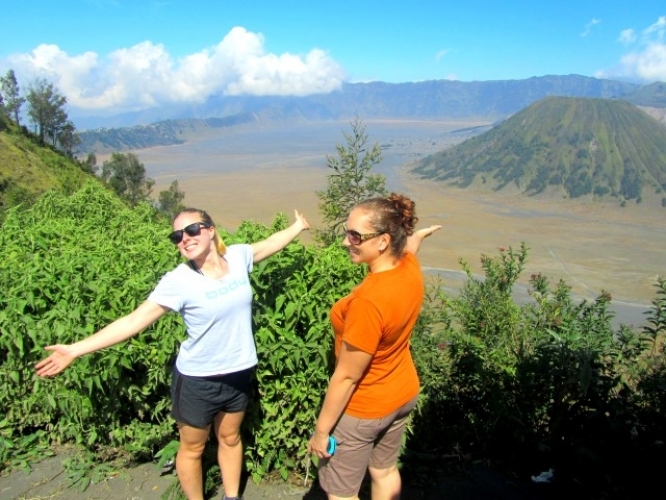 Three viewing points (2,770m at highest) are available with spectacular views above the Sea of Sand looking towards Mount Bromo and Mount Batok (2,440m). 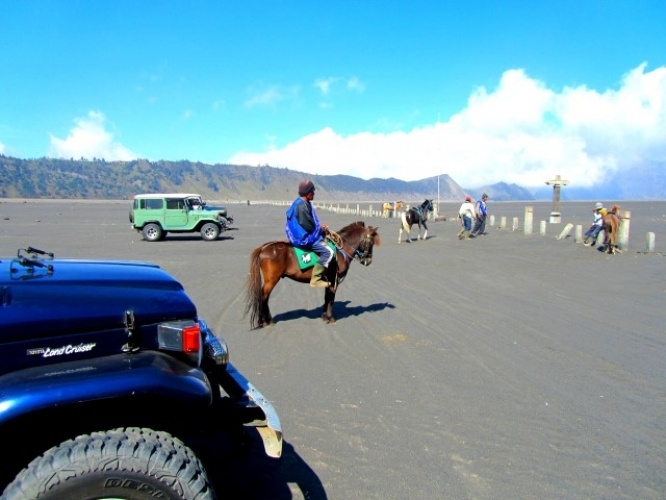 We descend by jeep down to the Sea of Sand for closer views of the volcano and the savanna. 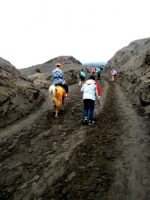 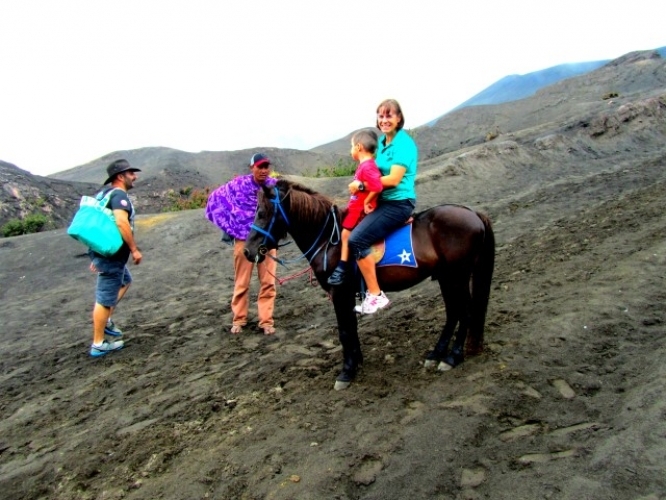 Next we drive to the point where you will take horses or walk to the volcano base and climb the 250 steps to the rim of the crater, enabling you to see down into the cauldron of fire. 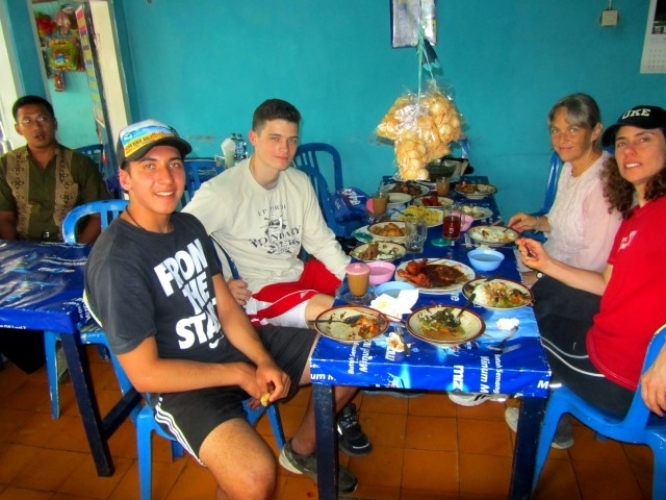 On our return we visit a Hindu temple and stop off at a villager’s house to see the local way of life as well as taking lunch in a local restaurant. 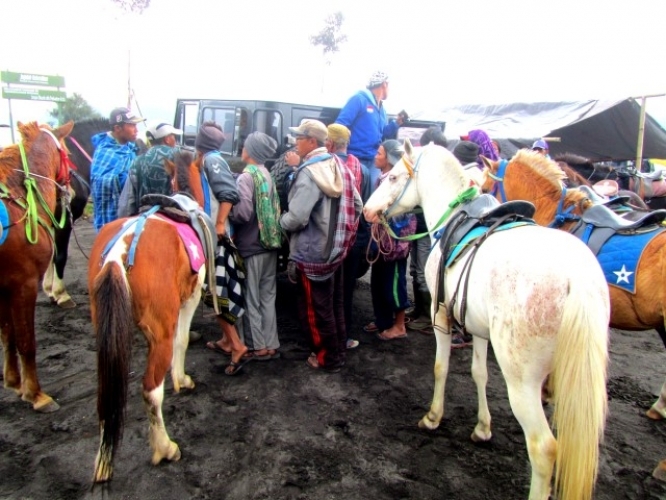 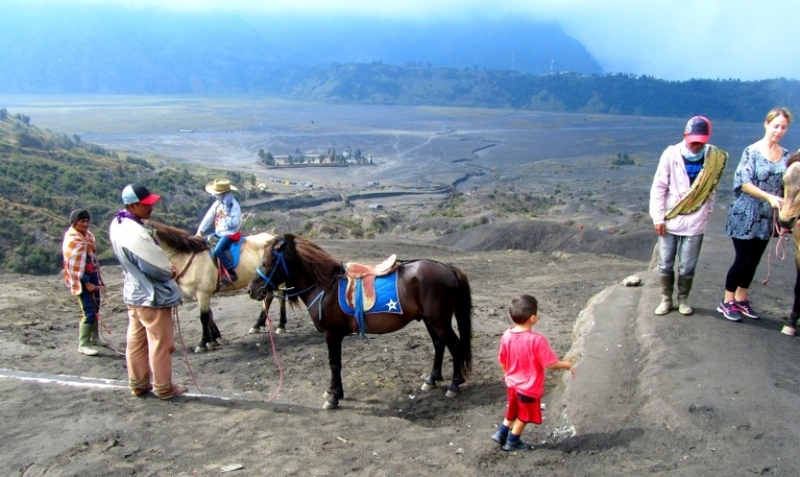 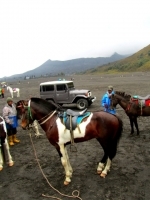 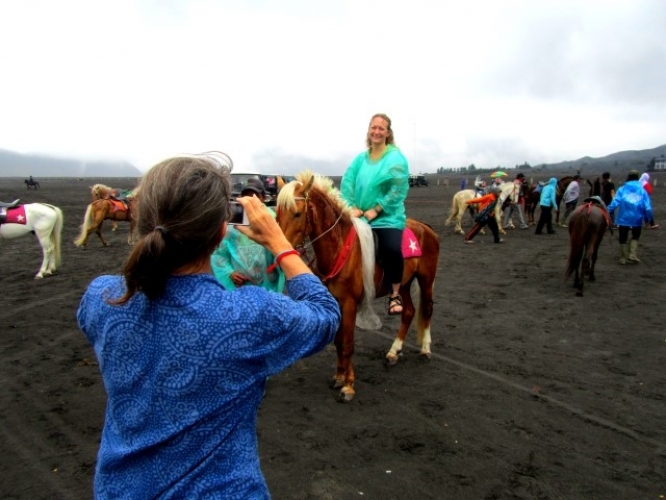 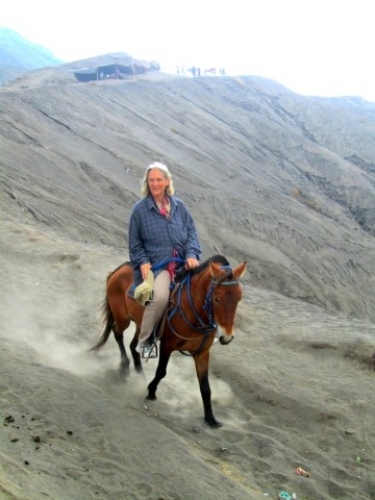 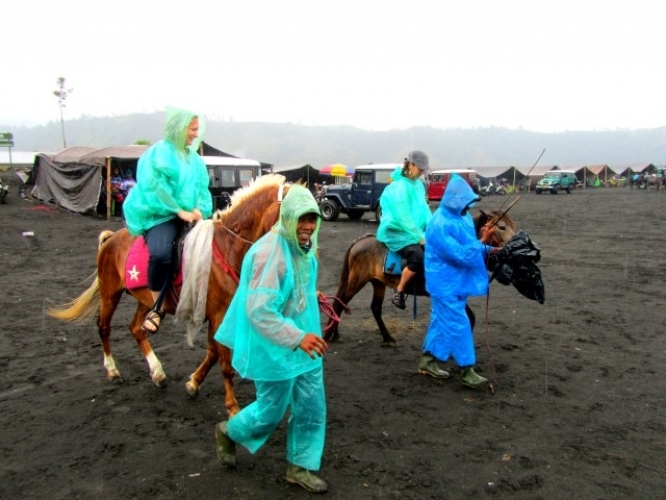 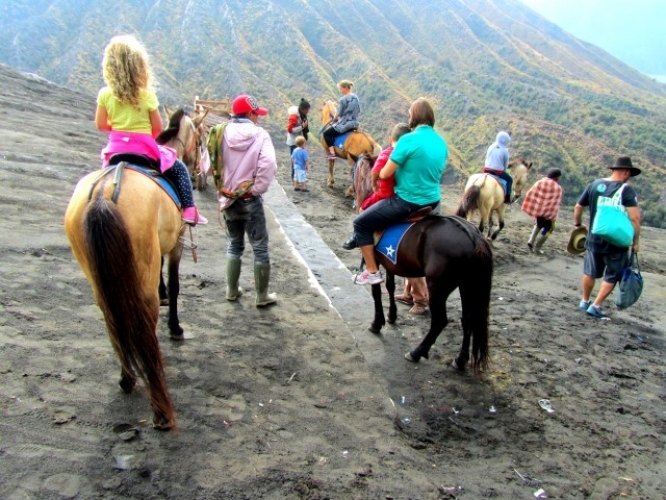 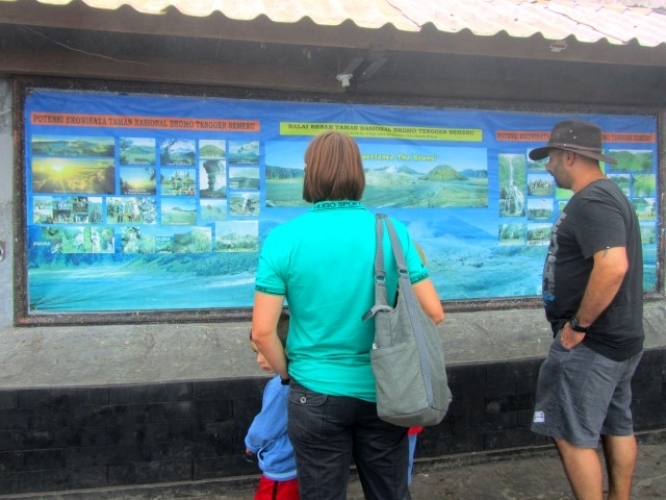 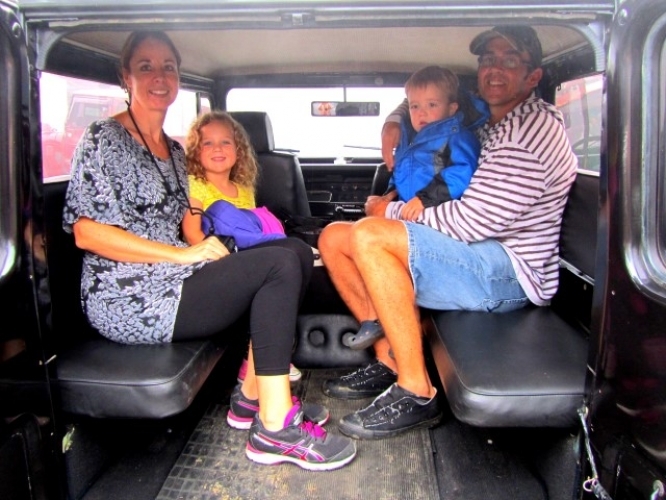 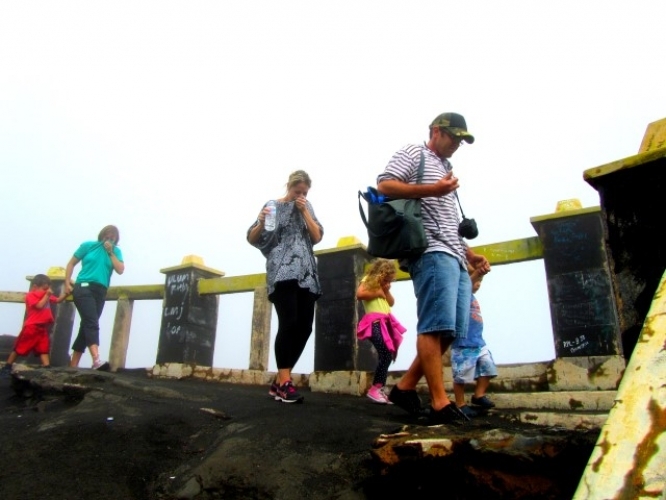 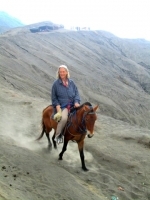 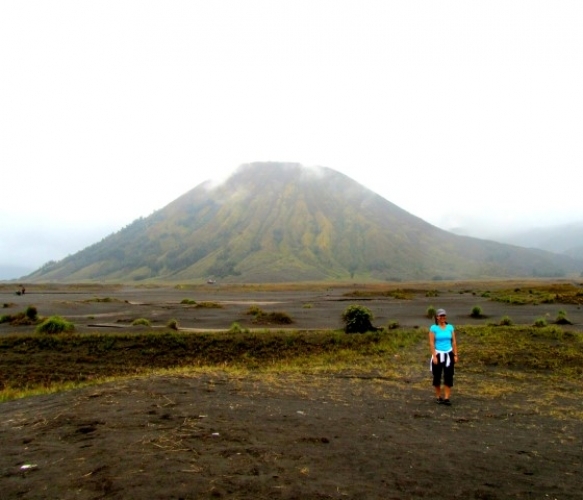 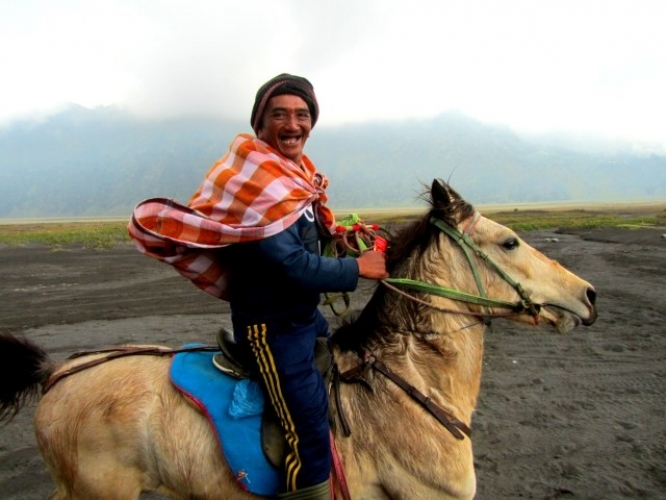 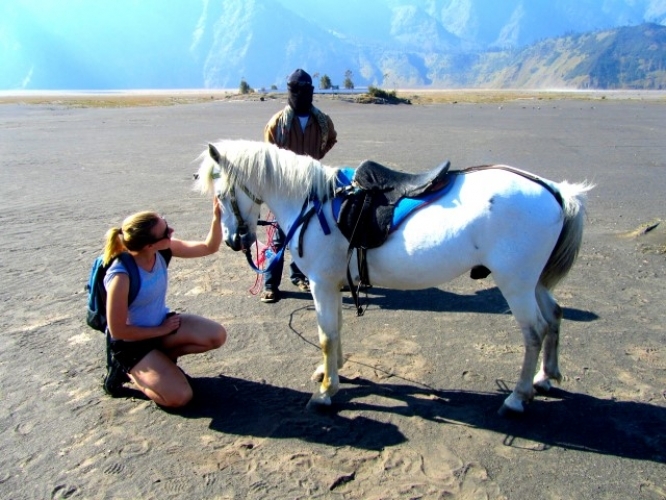 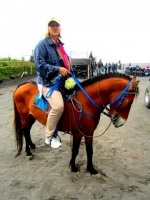 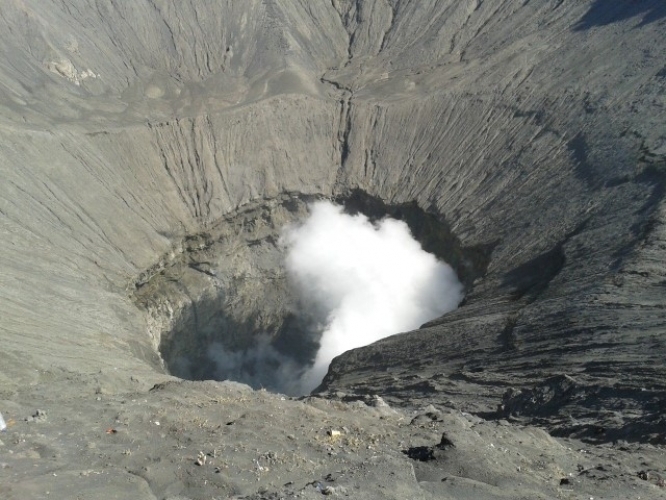 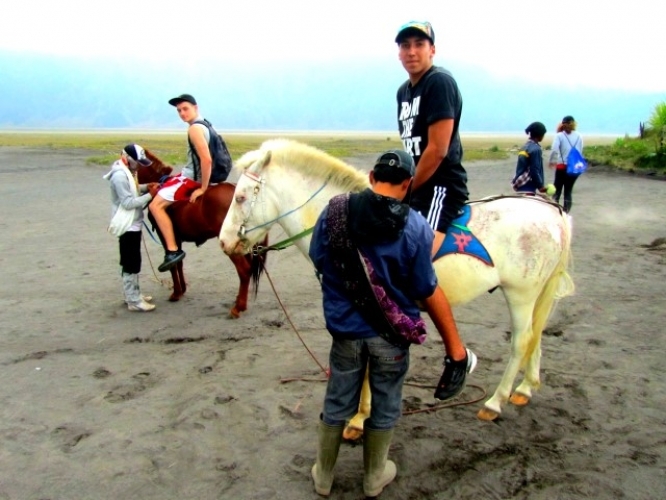 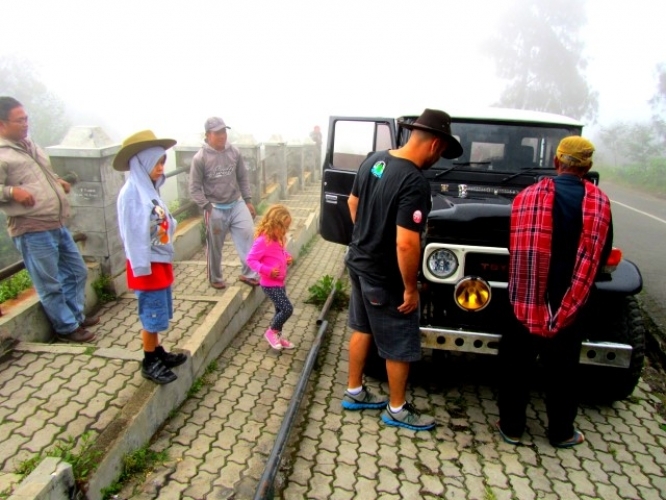 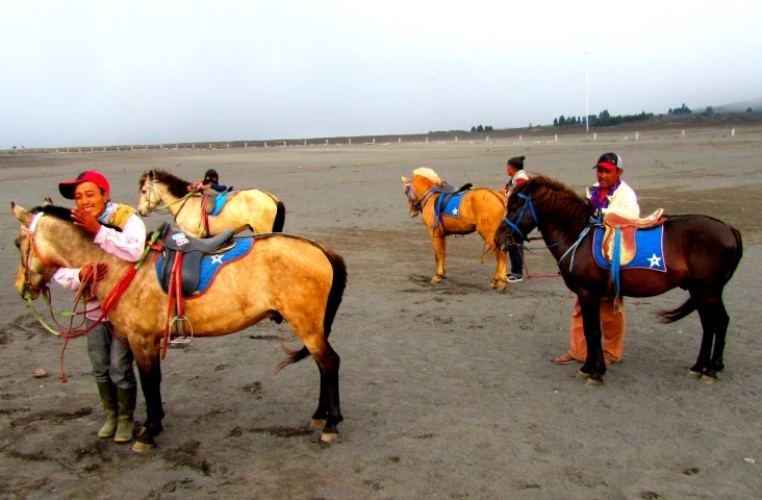 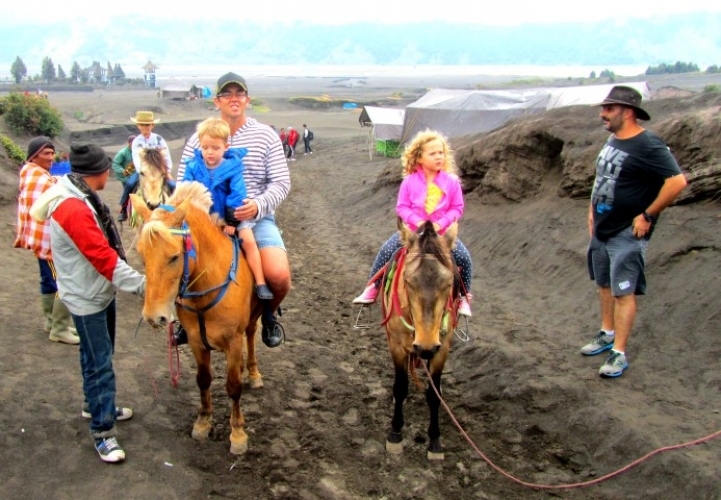 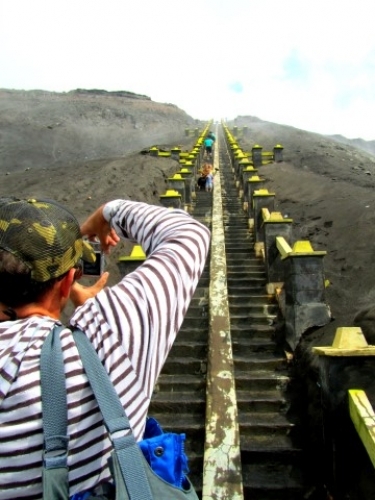 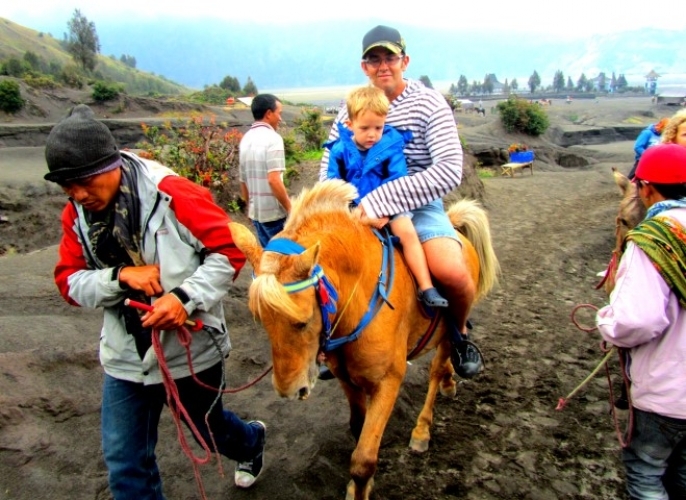 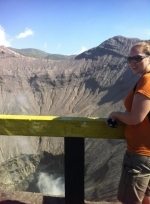 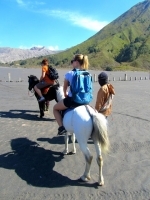 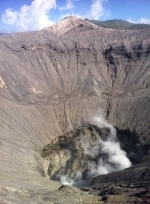 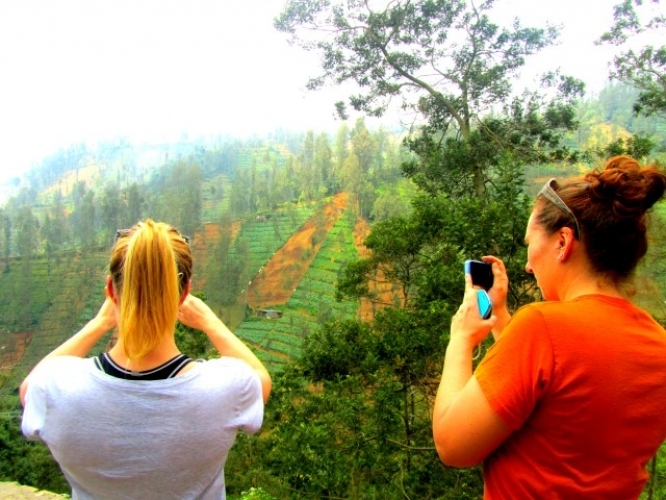 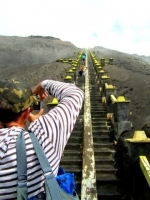 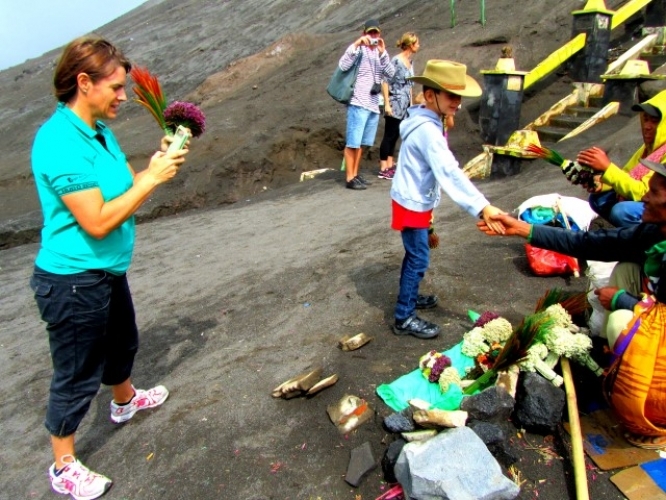 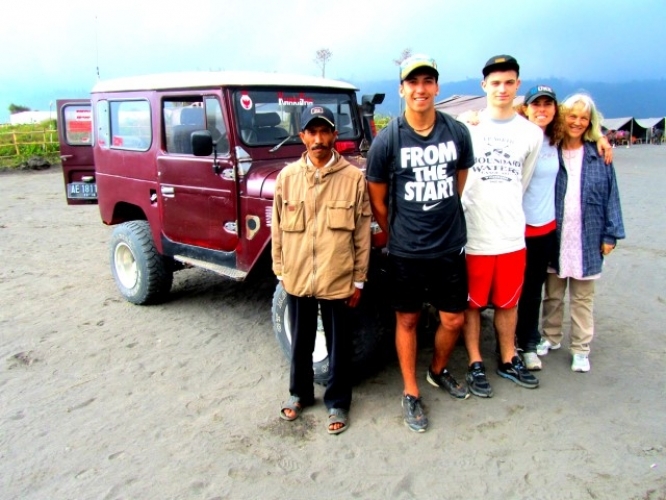 Unlike most tours to Bromo ours is designed to provide the best experience. 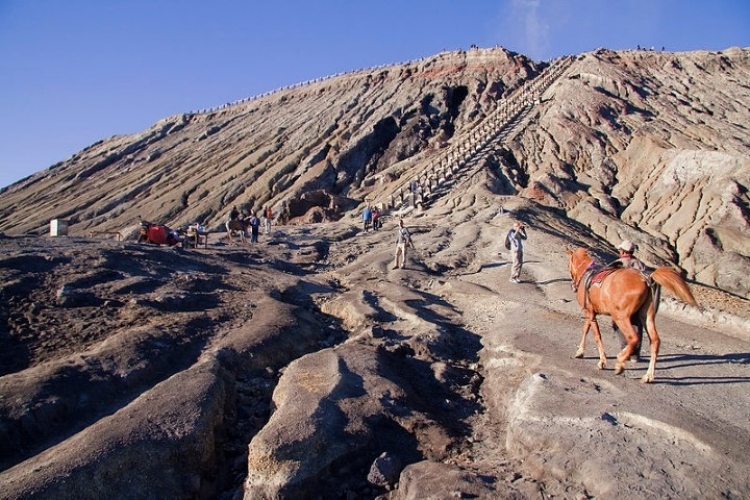 It avoids the crowds and hustlers by approaching via a different route, a more scenic one and, weather permitting, provides fabulous views above Bromo. It does not include the sunrise, but as this is heavily oversubscribed participants are very pleased with the mid-morning view they get from the same spot without the hordes of tourists. 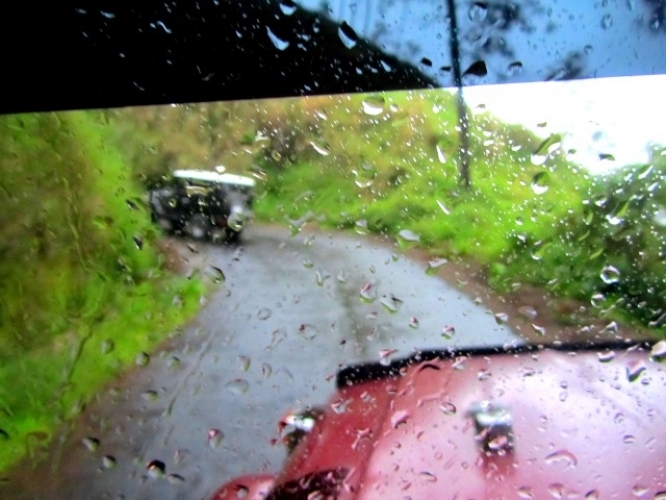 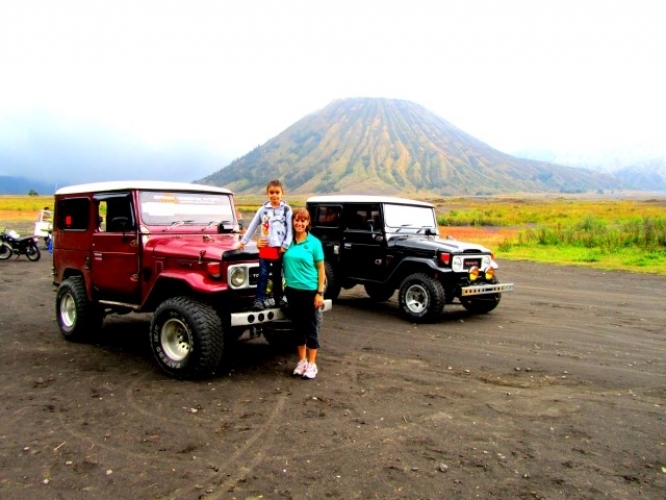 · Take a jeep down to the Sea of Sand and savanna for a closer view of Mount Bromo.